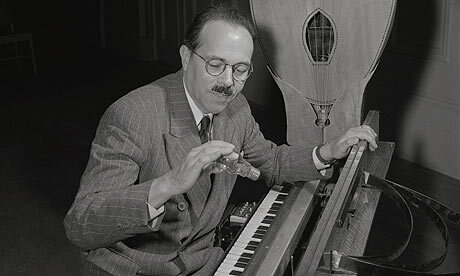 The ondes Martenot (pronounced as in English “owned Martin oh”) is an electronic instrument invented in 1928 by Maurice Martenot (1898-1980), a French cellist and inventor, who was a telegrapher during World War I. The instrument is related to (built on the same heterodyne radio principle as) the theremin, which was developed independently but contemporaneously with the ondes Martenot by the Russian inventor Léon Theremin. Unlike the theremin, the ondes is actually touched by the performer, using either the instrument’s keyboard or “ring” (“jeu à la bague”). Although few play the instrument, a number of twentieth century composers have written for it, including Charles Koechlin, Edgard Varèse, Darius Milhaud, Pierre Boulez, Frank Zappa (! ), and most notably: Olivier Messaien. Maurice Jarre used the ondes Martenot in his score for Lawrence of Arabia in 1962, and it has been used in a few well-known film scores since, including Elmer Bernstein’s score for Ghostbusters (1984), and Howard Shore’s score to Hugo (2011). 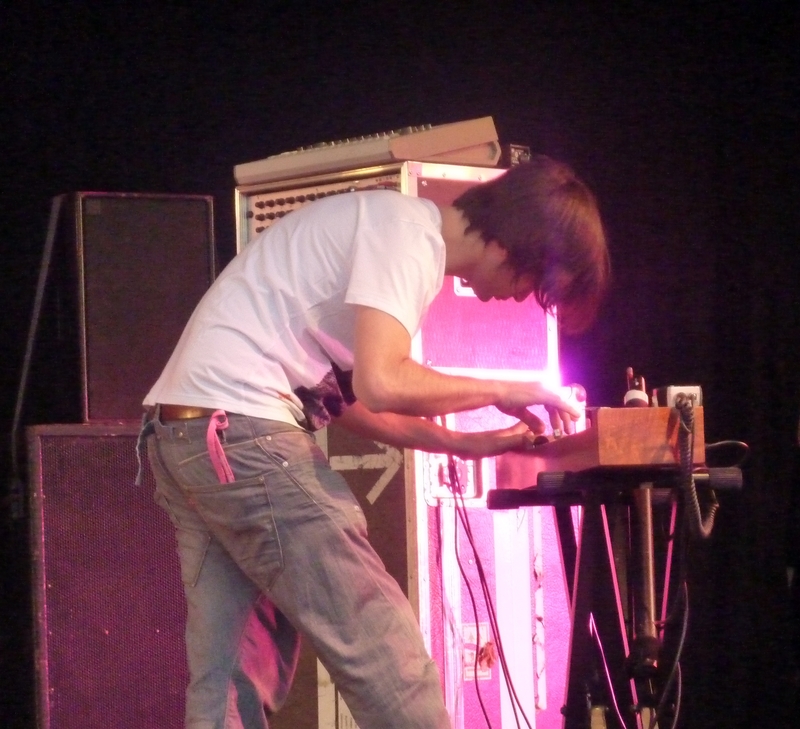 I first learned about the instrument through its use by the English band Radiohead, whose lead guitarist, composer, and computer programmer Jonny Greenwood (also a multi-instrumentalist) has been strongly influenced by the music of Messaien since his teens, and who has incorporated the ondes Martinet on several Radiohead albums including Kid A in 2000, followed by Amnesiac, Hail to the Thief, In Rainbows, and The King of Limbs – all of which include the instrument. intersection’s Key of Intensity performance on April 28 will include performances by two ondists from Montréal: Marie Bernard and Estelle Lemire, both of whom are also composers. Estelle Lemire is also ondes Martenot teacher at the Conservatoire de musique de Montréal, the only class of its kind in America. 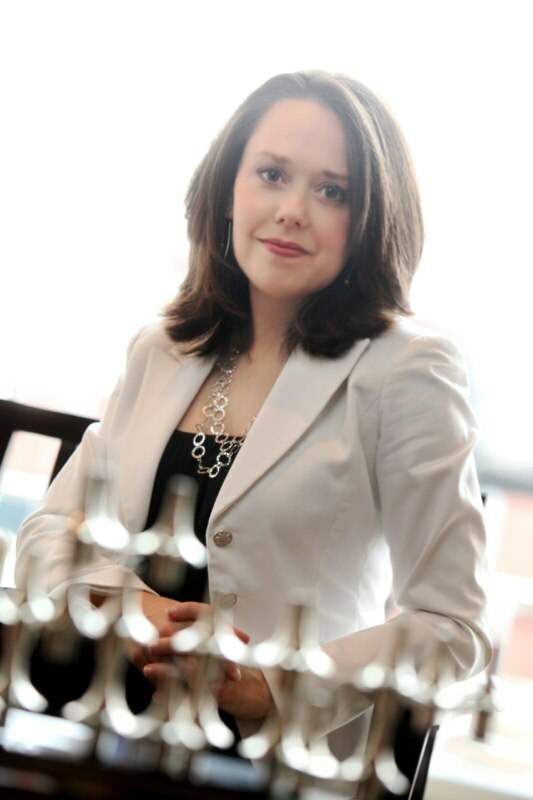 The two ondists will be accompanied by ten musicians in varying instrumentation throughout the program, conducted by intersection’s artistic director Kelly Corcoran. A small company of dancers will perform original choreography to the Lalonde. The evening will also include a demonstration of the ondes Martenot by Bernard and Lemire. Go to the Key of Intensity page on the intersection website here. Tickets for the event ($27.37 – $53.74) may be purchased here. intersection is holding a crowdrise fundraiser for this event that you can participate in here. All rehearsals are open to the public! By walterbitner in Community, Music, New Music on April 7, 2016 .